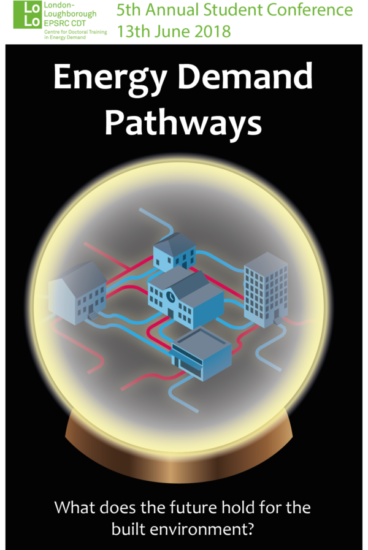 LoLo > News > Latest News > The 5th LoLo Student Conference – Energy Demand Pathways: What does the future hold for the built environment? The 5th LoLo Student Conference – Energy Demand Pathways: What does the future hold for the built environment? 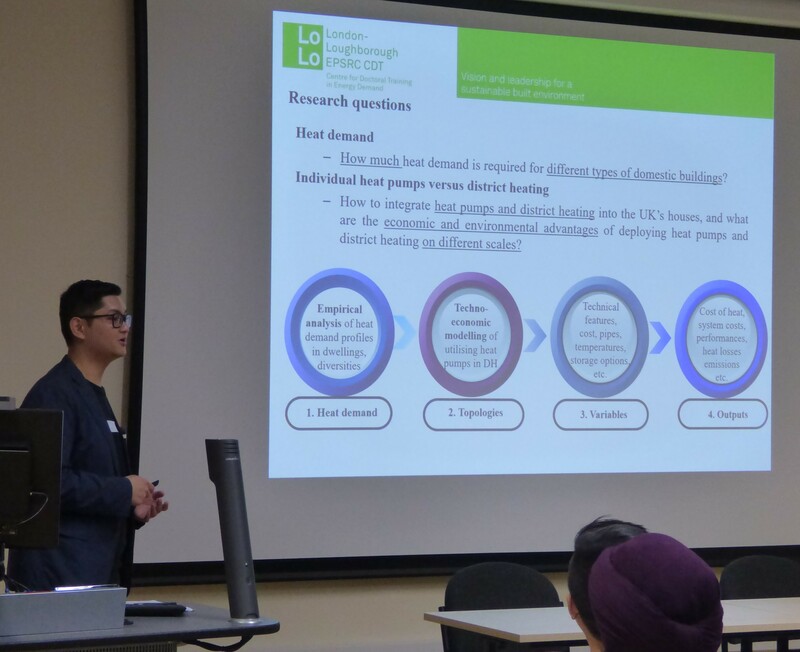 Following the success of last year’s event, held at Loughborough University (LU), the 5th London-Loughborough (LoLo) Centre for Doctoral Training (CDT) annual student-led conference was held at University College London (UCL) on June 13th 2018. This year’s conference theme was “What does the future hold for the built environment?”. Around 60 delegates from 7 institutions across the UK attended the event. Seven oral presentations were delivered in three sessions, and twelve posters were exhibited; representing a cross-section of the work undertaken at the participating institutions. Following Sebastian Junemann’s (UCL) opening speech the first session started with Rami El Geneidy’s presentation. In his presentation, Rami El Geneidy (LU) talked about techniques to enable community-scale demand response control strategy design. The second presentation of the first session was delivered by Zhikun Wang (UCL), who presented insights about using heat pumps in individual households and combined with district heating system to reduce heating energy consumption. The last speaker of the session was Stephen Watson (LU). His presentation stressed the effect of heat pumps on future electricity demand and offered future electricity demand predictions incorporating heat pump electricity demand usage as a result of his empirical work and statistical analysis. The second session started with Nittalin Phunapai (De Montfort University). She discussed the feasibility of integrating the social, environmental and economic life cycle assessment into sustainable building projects. The second presentation of the session was delivered by Daniel Wright (LU). He presented his work about using mixed-mode survey tools for assessing overheating incidence, adaptive opportunities, actions taken by occupants and barriers to action in UK domestic buildings. The last presentation of the second session was delivered by Ben Roberts (LU). His research aimed to assess whether simple occupant mitigations such as using openable windows, internal shading and internal doors can reduce the risk of overheating and avoid the future use of air conditioning in UK homes. Before the last session, attendees had an opportunity to enjoy the poster session during the break. The subject of the posters covered a wide spectrum of the built environment, ranging from peer-to-peer energy trading to assessing adaptive thermal comfort in a Vietnamese climate. The only speaker of the final session was Duncan Grassie (UCL). His presentation was focused on an investigation of the feedback and feedforward mechanisms required for crowdsourcing occupant datasets for the purpose of creating a UK school stock model. The key note speech was delivered by Dr Ruchi Choudhary from the University of Cambridge. Dr Choudhary leads the multi-disciplinary Energy Efficient Cities Initiative. 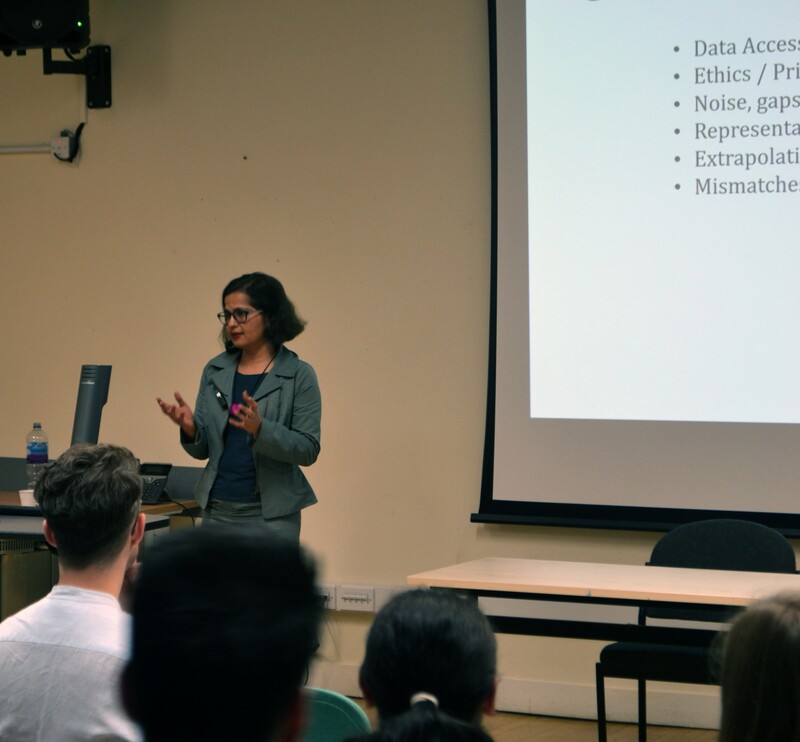 In her keynote speech, she emphasised the importance of data in today’s built environment research projects, and provided insights from her own work about how to handle and treat the complex data to achieve reliable results. Finally, the winners of the conference were announced by the conference organising committee (Salman Siddiqui (UCL), Matej Gustin (LU), Sebastian Junemann (UC) and Murat Mustafa (LU)). 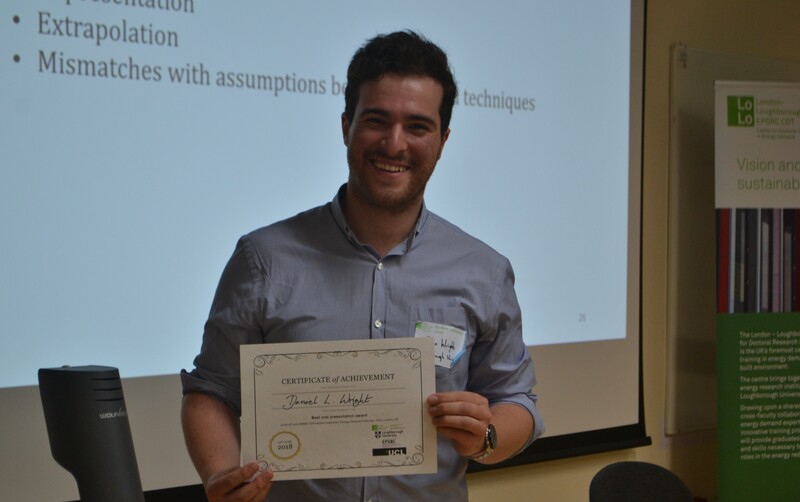 The following prizes were awarded: Daniel Wright from (LU) awarded (best presentation), Ben Roberts (LU) awarded (runner up presentation), Rima Alaaeddine (University of Huddersfield) awarded (best poster), and Zhikun Wang (UCL) awarded (runner up poster). Although small in scale the conference featured some very high-quality submissions, attracting post-graduate researchers in Built Environment disciplines from the length and breadth of the UK. Next years conference will be held at Loughborough in the Spring of 2019, with further details appearing on www.lolo.ac.uk/news-events/conference/.